Today's release of iOS 11 beta 4 for Developers includes a new feature that just might stop you from throwing your iPhone against a brick wall. The feature will prevent your iOS powered handset from automatically using auto-join on sketchy Wi-Fi networks. 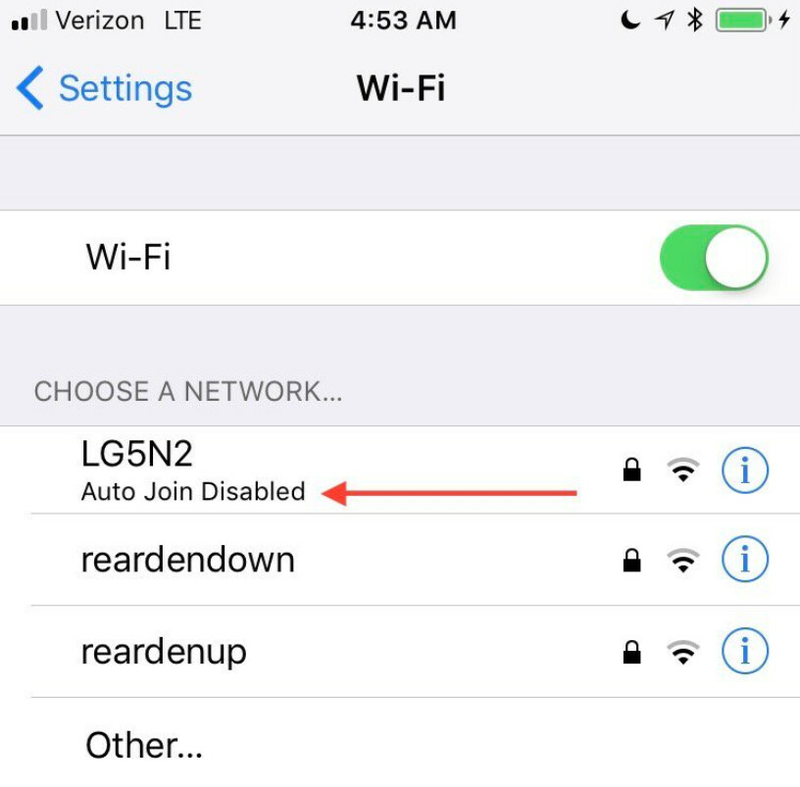 The auto-join capability debuted with an earlier beta version of iOS 11, and appears when you tap on the circled blue "i" next to a Wi-Fi network in the settings. The beauty of this new feature is that if you have "Ask to Join Networks" turned on, all of the weak Wi-Fi networks that would send you notifications asking you to connect to their signal, will no longer bother you. You might recall that a couple of years ago Apple included "Wi-Fi Assist" with iOS 9. With this feature, if the Wi-Fi signal you are connected to starts to lose strength and the signal drops off, you are automatically connected to your carrier's cellular network. However, when the feature first launched, it was enabled by default. As a result, many iPhone users thought that they were connected to a Wi-Fi signal when in reality, they had been kicked off a weak Wi-Fi network and were using their carrier's pipeline. This caused some to ring up large overages with one teenager getting hit with a $2,000 bill. Eventually, a Class Action suit was filed. Now, Wi-Fi Assist does not come enabled out of the box. The new feature found in iOS 11 beta 4 won't put you on a cellular network, so you don't have to worry about racking up overages. And it will keep you off weak Wi-Fi signals, so in some ways this is a win-win situation for iOS users. Huh?.... You forgot you turned wifi off because there was no wifi originally available and then ended up using your data which is somehow the fault of the device? You also believe that the iPhone will remedy this by introducing a new "feature" which is apparently the fact that they have turned off a previous "feature" which you believe is totally cool and/or dope? ....iFans need to get their BS excuses figured out. There's a reason why he needs Apple to hold his hand... Not too bright. That's why apple is so popular with the mainstream. Great software is meant to be easy to use for everyone. Apple makes the best software by far. Because before thsi feature, software was harder to use? If you lack the needed intelligence to buy a product and use it properly, then you shouldn't be buying it. All this hand holding you want, shows just how childish the phone and you are as well. I don't need a phone to do everything for me. Its like remotes for a tv. I had no issue growing up as a kid to turn the TV channel. Remotes, especially for cable are really slow and is faster when I get up and hit buttons instead. But many OEM's have removed buttons so even powering on the TV is impossible without a remote. Such things only make people dumb and lazy. Normally I am with you, but this time you may be pretty wrong. Phones will connect only to WiFi's you have connected to before. Example, let's say you went to a McDonald's. Their WiFi is provided by ATT. So all their WiFi's are called ATTWIFI. So as a fact based on what he said, yes anytime you come within range of a WiFi of the same name, yes it will try to connect. Yes it will try to connect even if the signal is weak. However many times these signals appear weak until you actually connect and sometimes they appear strong and then when you connect they get weak. Maybe because when it tried to connect you were closer, but as you drove or walked farther away, it gets weak until it disconnects. So he was right up until that point. But you don't have to turn it off. All you have to do is click on the connection and choose "forget connection". This will prevent unintended connections. I have this happen to me all the time, because as an Xfinity customer, my phone always connects to their wifi signal if one is detected. But he made it sound liek his phone is connecting to some random WiFI and that is a complete B.S. lie, and the fact is this feature isn't goign to stop that from happening. It will only prevent the connection if it considers it weak. Which will almost always be a false positive. For examples, when I go to hotels and you first pull up their wifi, you may only see 2 bars. This feature could assume its weak. But the fact is, many hotels Wifi's are like this on purpose, so that they don't work from outside. Once you actually connect, then you get full bars after the authentication. His claim has some truth, but he spun it with BS and tried to make it seem its an S7 issue. Its not an issue at all. It is how ALL PHONES work and this feature on the iPhone isn't going to totally prevent this. In fact I see it gettign in the way on Wifi's that aren't weak, but appear weak only until you are authenticated for usage. This has been around forever though, I didn't even know iPhones didn't have this. On top of that, it clearly says in the article that this is a "feature" Apple introduced before and has now disabled it which makes the action of disabling a previous feature... a new feature? Uhm, this is merely the "Avoid poor connections" option under Settings > WiFi > Advanced that's been on Android for years. Came with my OnePlus on KitKat in 2014...but good to see iOS finally getting it. If it was easy to find for the mainstream maybe it would have been acknowledged back then. But because android is so messy, this will be known as a feature that Apple created. The mainstream doesn't care, because no one is complaining about this ever bing a problem. No one with a smartphone on PhoneArena has ever identified this was ever even an issue. 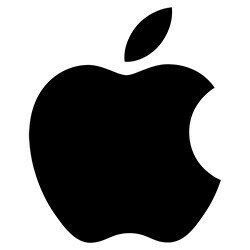 Now that Apple is having a feature to bring it to your attention, now all of a sudden its a problem you have and you're so happen Apple is providing something to deal with it. What a bunch of sheeple you are! Oh and as a matter of fact, this feature will also be in Apple's messy settings menu and it won't be so easy to find. I bet you will have to go through 4 levels of clicks to get to it. Take a bet on it? Just 'cause the authors on this site and whatever other apple fanatic site you visit didn't acknowledge it until it comes to an apple device doesn't mean other sites didn't acknowledge it: https://www.google.ca/search?q=avoid+poor+connections+android&client=ms-opera-mini-android&channel=new&gws_rd=cr,ssl&ei=2m53WYWPC8iv-AGcgaLoBQ Only thing messy here is your head and your double standards, like any other die-hard apple fanatic. Its not available on all Android phones. Like its not available on Samsung model. So it may nto be a stock Android feature. You have to consider the One Plus comes from China, which is a country that has terrible WiFi in general. The manufacturer likely included this feature because of this. This is also a common issue in the Philippines. This is hardly an issue in the USA. Signals are only weak if your phone has a terrible antenna to actually get a signal to begin with. Or you simply are not in range. You also have to consider that many Wifi signals can penetrate building with steel/Aluminum framing or very heavy stone or brick. Or buildings that use steel reinforced concrete. But the sheep never consider surrounding factors. When they have a Samsung phone, they just want to make it seem its a Samsung issue. I have a S7E and never connected to some random wifi spots. Am I missing something here? Unless you have previously connected to that weak wifi spots like Starbucks and the info was save in your phone then yeah it would reconnected if you are nearby. I never save any of those weak wifi in my phone wether I am on Android or Iphone. It doesn't connect to any random Wifi's signals. The dude is a complete liar and is full of Shiznit! All carriers in the USA have gonna back to unlimited data, so your claim is total BS for the most part. Wifi doesn't connect to come random signal. You claim is mostly B.S. It will only connect to a signal of the same name if you have connected to it somewhere before. I'm sorry, but this is new? ?